Recently, an HR expert told me that to progress in my career I’d need to spend at least 50% of my time managing laterally. Laterally as in not “up” to my boss or “down” to the team I lead. My immediate instinct was to discard this flat out: after all, how would someone even measure this? Designing an experiment so large as to statistically prove the 50% is extremely tough. There are hundreds of factors contributing to every career step, and determining what caused what is Mission Impossible. While I questioned the insight, I was nevertheless intrigued by the bigger notion of a best-practice playbook which could fast track my career. And conversely, could I be doing something “wrong” today which might cost me later? What is the link between how I am allocating my time daily and my long-term success? How many emails do you send and receive? How many meetings do you attend? How much do you manage up, down and laterally? For easier reading, the content is broken down into 4 parts — one for each of the 4 questions above. Part 1: How many emails do you send and receive? The Big Picture: The Radicati Group research on business email traffic indicates that the daily volume averages per user are 76 emails received and 33 emails sent. A whopping 109 emails per day! So… a quarter of our time is spent on emails… it seems high, but it is not far from reality: a McKinsey study found that 28% of the time is spent on reading and writing emails; the study considered high-skill knowledge workers — including managers and professionals. Annual counts: 14,000 emails received, 6,000 emails sent. What I learned: At 73 emails per day, I do less email than the average business folk — one third less, to be exact. Still, email does take me 1.2 hours per day, or 15% of my time at work. Note 1: In the above estimation, I took the average of 1 minute per email. This average includes read and write time, thinking time required by Sent emails, re-read and spell checking, time to switch from and back to other (non-email) tasks, and filing emails into folders. Note 2: The above numbers do not include spam emails. 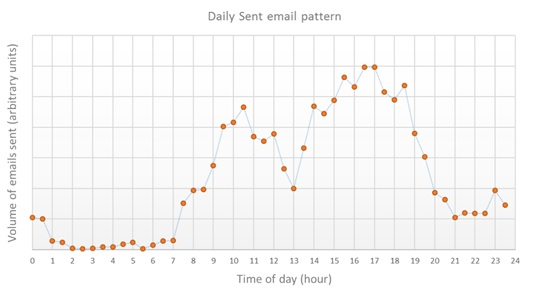 Note 3: Concerning the daily email pattern, the chart below shows the volume of emails I send out by time of day. To the extent that Sent emails are a measure of my work, I am most productive in the afternoon. This is common in Europe, where the afternoons are longer to maximize the overlap with colleagues from the US. Part 2: How many meetings do you attend? The Big Picture: As mentioned previously, a high meeting volume can drain one’s productivity. The reported amount of meetings varies greatly among the different studies, with some putting it as low as 25% of managers’ working time, and others as high as 80%. It is not uncommon for managers to spend a third to a half of their time in meetings. My yearly total is 1100 hours in meetings, or an average of 4.7 hours a day. These 4.7 hours include both formal and informal meetings (e.g. lunch meetings, catch-up with colleagues etc.). 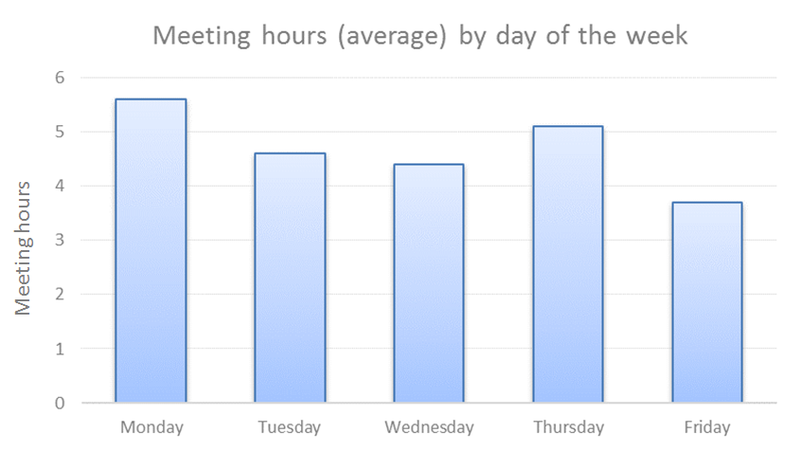 The actual meeting volume is unevenly distributed across the working week, as shown below. On Fridays and Wednesdays I am trying to follow a “maker schedule”, with 4-hour blocks of meeting-free time allowing uninterrupted work. What I learned: Combining the time taken by meetings and emails, I am left, on average, with about 3 hours per day to produce content; I am also using this time to assess “what is happening” and reflect on “where I should go”. Note 1: The numbers above do not include “large” meetings, i.e. meetings with more than 20 participants. The average number of participants per meeting is 3, myself included. The average meeting duration is approximately 1 hour. Note 2: A number of ad-hoc phone calls happen without prior scheduling, which suggests the total meeting time is probably larger than the above. Part 3: How much do you manage up, down and laterally? The Big Picture: Besides the intriguing 50% mentioned in the opening paragraph of this post, consider Jim Rohn’s famous statement: You are the average of the five people you spend most time with.Scary! If you are a manager, your top 5 will include your boss and your direct reports. It is a good sanity check to verify there is no surprise in the list of top 5 (or top 10) people you exchange with the most. I talk to my reports 4 times more than I talk with my boss. I feel this is good — I would have been worried had it been the other way around. When to “lateral” management, I am likely below the 50% threshold professed by my HR acquaintance. 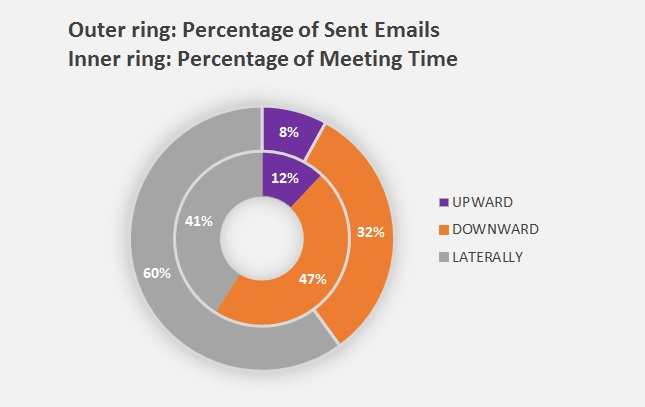 In siding more with the meetings fraction (41%) than with that of Sent emails (60%), I considered the time required by both (meetings take longer) and also the fact that communication is less effective by email. Note 1: An interesting stat: the number of people I meet over a full year is 340, 70 of whom met me for more than 2 hours; this is my corporate version of a Dunbar-number. The Big Picture: Of all four questions considered in this post, this might be the most critical to the way we work. First, being too reactive, as for example answering every email you receive, is problematic. So are situations where incoming volumes are high, and answering becomes a heavy burden; in extreme cases this leads to what is known as email bankruptcy. Second, (and fortunately!) not all the email we receive is useful — in fact most is not. Deloitte research found that 85% of the emails we receive are unimportant. My intuition is that the fraction of important business emails is higher than 15% but far from 100%. Back to my data. The shortest path to answering this question was to analyze my Sent emails. Each of these messages falls into one of three categories: NEW, REPLY, or FORWARD. The Reply and Forward categories are “reactive”; they arise in response to something I received previously in my Inbox. Proactive emails make up 25% of my total Sent messages. 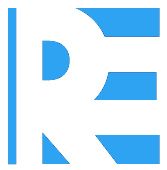 The rest is taken by responding to someone’s query (58%) and forwarding emails (17%). Another angle to look at this is to consider email communication a give-and-take exchange of information. In this light, my Give to Take ratio is 75–25, aligned with my a priori perception. Side note: if you feel you are more of a “giver”, Adam Grant’s research provides good reading on the subject. As mentioned in the first part of this blog, I receive 52 emails daily and send out 21, on average. Of these 21 emails sent, three quarters are reactive (about 16). I do “something” with 31% of the emails I receive. The remaining 69% are a combination of unimportant and information-only (no action required) messages. Wrap-up: If you’ve gotten this far, you deserve big thanks for reading this post. Its main intent was to illustrate the type of insights which can be derived from the Inbox and Calendar data. An exploratory study must always be designed and executed in order to answer a number of a-priory questions. Our experience in dozens of scientific projects has allowed us identify the 5 mostly shared kinds of questions that researchers ask themselves. What is an exploratory question? Exploratory research is the stage of the research process that aims at connecting ideas as to unveil the “why”s of potential cause/effect relationships. This occurs when researchers get started at understanding what they are actually “observing” when in the process of building cause/effect models. As I already commented, I use the term “exploratory questions” as equivalent to the formal hypotheses of a confirmatory study, without that level of precision and concretion. 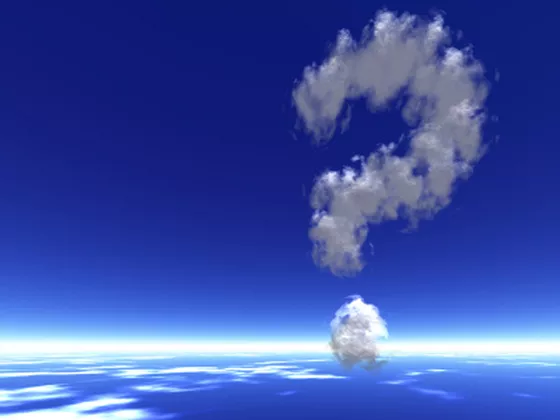 Exploratory questions usually talk about relationships between complex data groups (multidimensional) out of which the more relevant concrete elements are yet unknown. 1. Role: aimed at getting to understand the role that a certain group of known factors has over the behavior of our system or part of it (responses) that is also already known. What is the role that the neuronal structure has over learning and memory performance indicators of our given experimental subjects?. 2. Characterization: aimed at getting to know and understand better that set of factors that better characterize our experimental groups. What are the key potential factors characterizing the respondents of my study by gender, age, sexual abuses, psychological profile and emotional condition? 3. Prediction: aimed at unveiling what factors will help us modelling certain responses of our system. What gen signatures will help us predicting the evolution of the tumor size in our cancer model? 4. Differentiation: aimed at identifying what responses are the most different according to a certain already known factor. What proteins express differently in group control patients? 5. Thresholds: aimed at getting to know what threshold values are the most relevant in a certain biological process? At what levels of molecule concentration we register different dynamics in my experimental subjects?